Comic-Con was held in San Diego this weekend, and it inspired a cosplay-style outfit of the day post! Jubilation Lee, aka Jubilee, is an X-Men character who often gets a bad rap for her somewhat laughable “fireworks” superpower. But she means much more to me. Growing up in Dallas Fort Worth, specifically the bubble of Southlake, it was very difficult to find anyone who looked like me. On top of that, there was little to no Asian American representation in the media. That lack of visibility makes the upcoming X-Men: Apocalypse film all the more exciting for me. 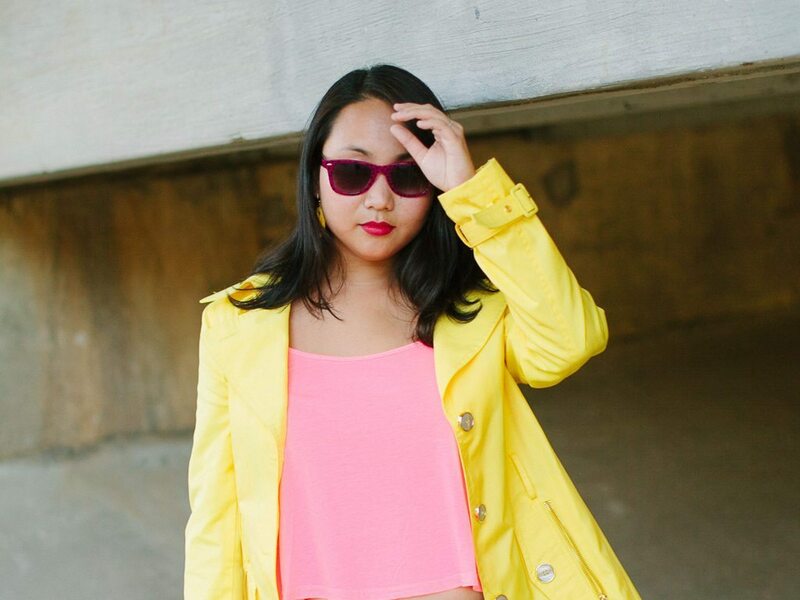 When news broke that Lana Condor had been cast as Jubilee for the upcoming movie, I may have cried geeky tears. 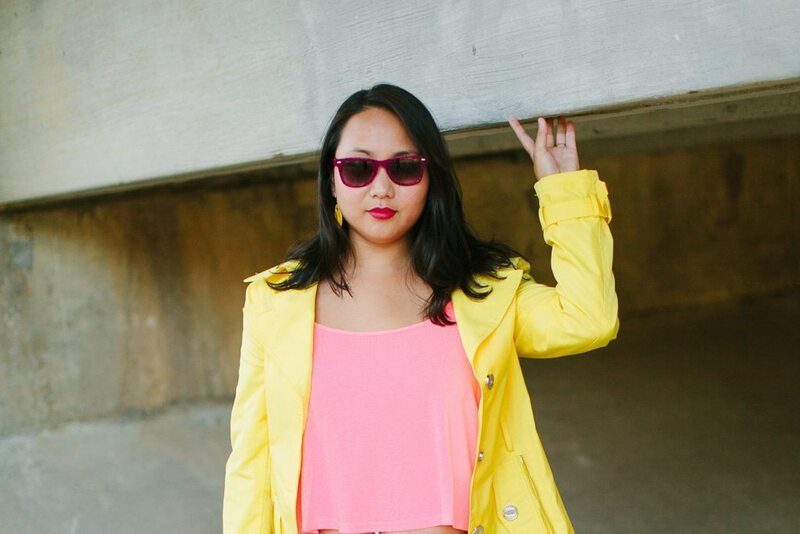 Not just because Jubilee, a Chinese adoptee, was finally getting a role in an X-Men film, but because they picked a fellow adoptee to play her! I knew that I wanted to start preparing my Jubilee cosplay costume for future Cons. It might sound weird since there are tons of Asians in the cosplay/comic scene, but I sometimes feel like a minority. With my Caucasian family and Southern upbringing, I wasn’t into Anime or Manga– I love superheroes, but there are still very few Asian American characters. DC’s Katana was born and raised in Japan, and Psylocke is basically a British chick in a Chinese body. (No offense intended, Olivia Munn is still my ultimate girl crush) Jubilee was second-generation Chinese American and went to Beverly Hills High School! She also spent her time rollerblading in the mall, so I imagine we’d pretty much be besties if she were a real person. 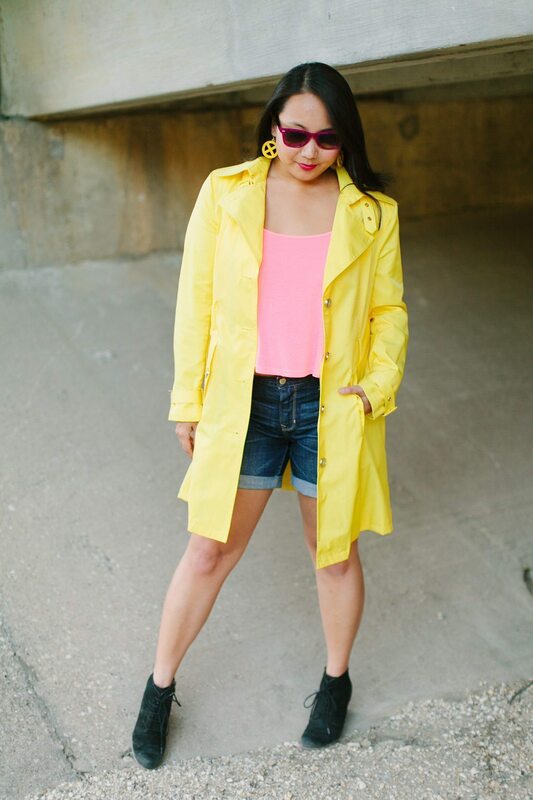 My husband graciously designed 3D-Printed “X” earrings for me to wear, and approved a special purchase of this gorgeous yellow Steve Madden trench coat to complete my ensemble! 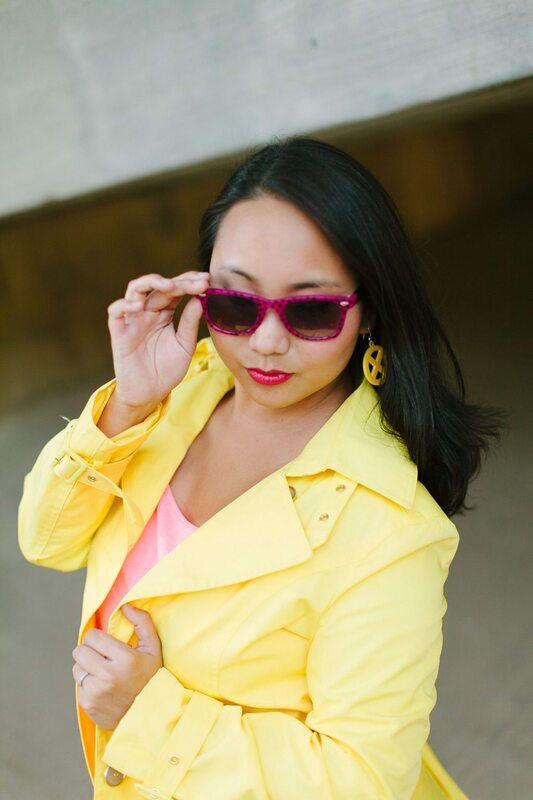 While this outfit is more Jubilee-inspired than an actual costume, I plan on refining it over time (saving up for Ray-Bans with pink mirrored lenses), so when Fan Days and the next Dallas Comic-Con roll around, I’ll be ready! 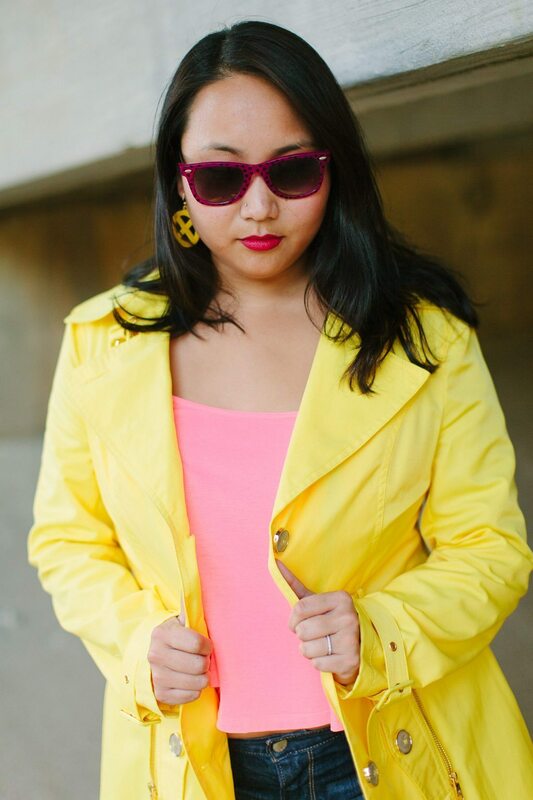 As a half-Japanese Canadian, Jubilee has been on my cosplay bucket list since I first watched The X-Men cartoon show as a young teen. Thanks for the tip on the trench coat, even if it isn’t the most budget friend.